W.F. Hann & Sons has been recognized for offering the finest heating, ventilation, air conditioning and plumbing services to business owners and homeowners across the Cleveland and Northeast Ohio area. With an extraordinarily capable team of professionals, we can be counted upon to guarantee that your home or your office is totally protected and fully operational by protecting your AC service from failing and ensuring that it continues to perform well. Further, W.F. Hann & Sons will be able to lower your operational and ownership costs regarding future AC repair work, additional AC installation requirements and AC service. Regardless, whenever our Bay Village neighbors are seeking the best AC repair, AC installation and AC service, W.F. Hann & Sons is the only name they need to know. Bay Village, Ohio has more than 15,000 residents and is located in Cuyahoga County. W.F. Hann & Sons is located at 26401 Miles Road, Warrensville Heights, exactly 27 miles east of Bay Village. Bay Village clients are well aware that our NATE (North American Technician Excellence) certified technicians are the go-to experts when they are in need of an upgrade, a new AC installation or any AC service. In fact, our NATE specialists are acknowledged for skillfully collaborating with Bay Village homeowners and business owners for all of their projects. W.F. Hann & Sons competent professionals will persist in endeavoring to save Bay Village clients energy as well as money. We are committed to delivering a healthier and cleaner environment. Not only will we always strive to meet the expectations of our Bay Village customers, but we will persist in surpassing them. With its high-tech advancements, reliable engineering and consummate product dependability, W.F. 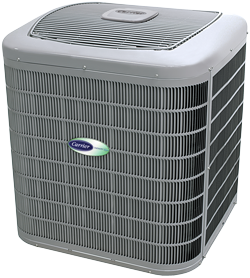 Hann & Sons is distinguished for evaluating our clients’ needs and creating the most appropriate AC installation systems to their exact specifications. We will make certain that our clients receive the finest AC comfort, efficiency and value they deserve. The AC service contractors at W.F. Hann & Sons are all factory-trained, completely insured and licensed in AC installation and AC repair. We also are renowned for treating our clients with the same courtesy and respect they deserve from the W.F. Hann & Sons professionals. When you are looking to enhance the comfort of your home and your business, you can depend upon our experts to make sure you receive the quality workmanship for which W.F. Hann & Sons is well-known. For emergency services 24/7 or to schedule an appointment for AC repair, AC installation or AC service, call W.F. Hann & Sons, today, at: (216) 831-4200.